I love hats. I'm also fairly afraid of wearing hats. Back home, very few people wear hats and those that do tend to look like fashion goddesses...so I'm always a little worried that I'll just look like a fool! However, I recently purchased a bowler hat from H&M and I'm absolutely in love with it and I feel so good when I wear it! Sometimes, fashion risks are totally worth it. However, I've found that the hat goes better with some outfits than others. So I thought I would put together a couple of ideas to help you! I chose a bowler hat from Boohoo that costs just 10 pounds for this post. 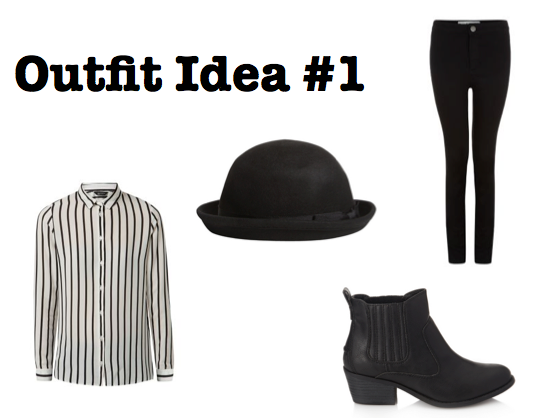 One look that I think looks really lovely is skinny jeans, a patterned button-down shirt, booties, and your hat. It's put-together without looking like you're trying too hard. 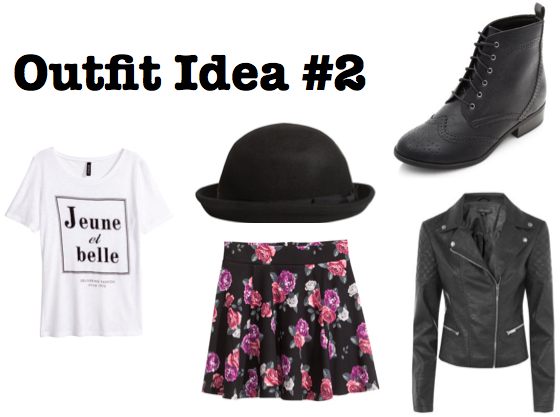 I also quite like how a graphic tee and patterned skirt pair with a hat. Tuck the tee into the skirt, slide on boots and a leather jacket, throw your hat on your head...and be sure to perfect that "I don't care what you think; I know I'm cool" attitude that has to go along with hat-wearing (if you need inspiration, watch videos of T-Swift performing Blank Space).